Please note: our announcement and invitations offerings are premium, custom print products and services and are typically not used by individuals for their personal events. 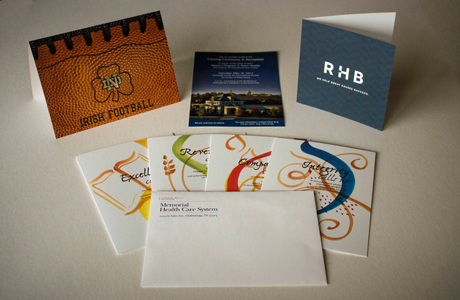 We can help call attention to your biggest business and organization moments with unique, compelling full-color announcements and invitations. Our designers can bring a special touch to your occasion worth celebrating. Or, if you already have a design, our quality printing processes will ensure your piece is delivered as vibrant and sharp as you imagine.